Looking for a FUN and REWARDING job? Two Great Job Opportunities with HappyFeet! 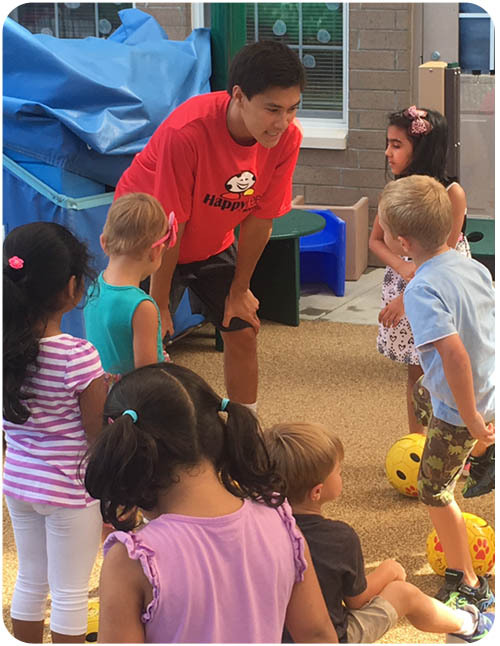 HappyFeet is growing and is looking for part-time coaches to take our exciting "story time with a soccer ball" program to preschools across our area. We are looking for energetic, kid-loving individuals who would have a BLAST leading 2-5 year olds in stories, songs, nursery rhymes, and fun games—all centered around a soccer ball! These daytime hours are very flexible, making this job perfect for stay at home moms or college students. HappyFeet is also looking for coaches for our ever increasing weekend League program. We have shifts available on Saturdays and Sundays. Have a blast coaching kids age 3-5 in their first soccer league experience as parents cheer on the sidelines! No soccer knowledge is necessary, we can teach you what we've learned along the way - most importantly, league coaches must have the ability to boost kids' confidence and instill a "go for it" mentality! This position is perfect for college students and young adults who love working with kids.